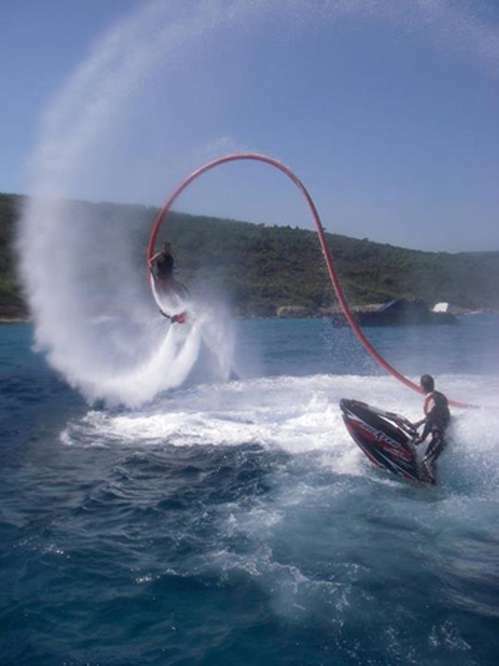 Really great fun on the water. 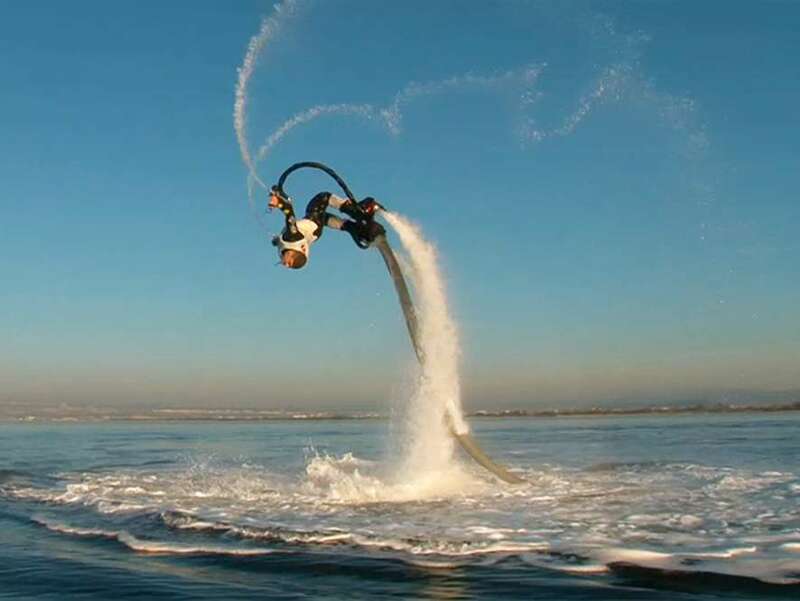 Get all you need to enjoy flyborading to maximum. 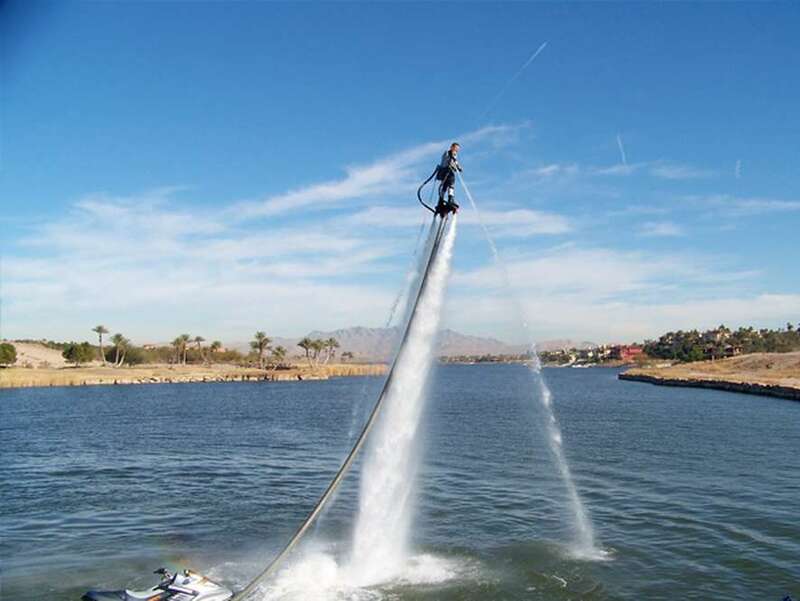 My brother and I had never been flyboarding before and the experience was awesome! 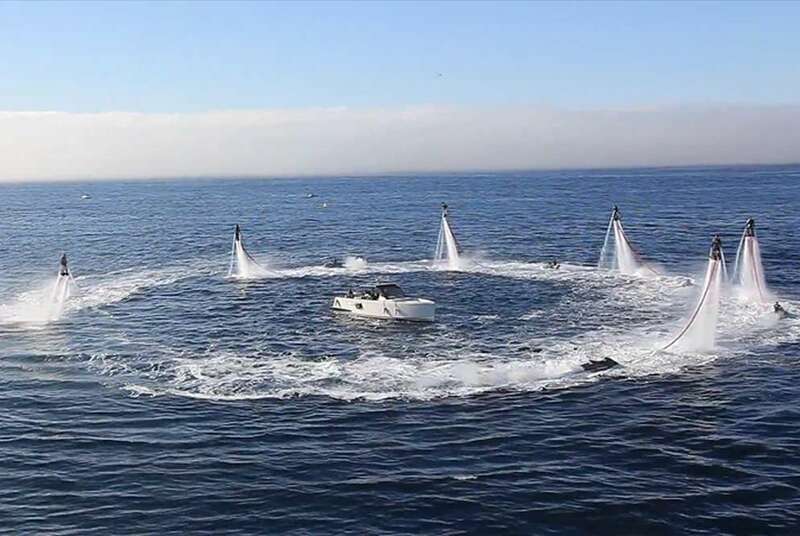 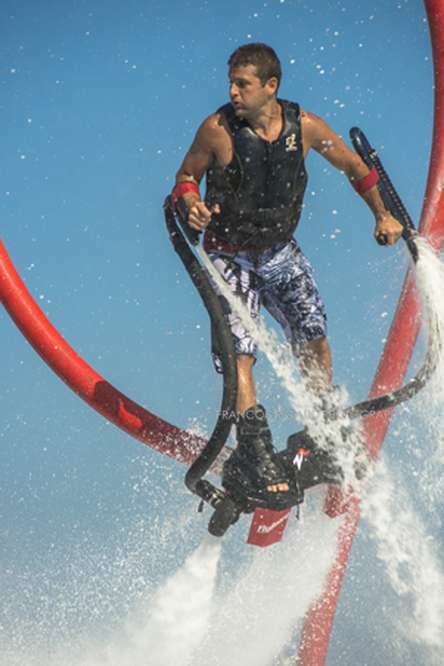 The Flyboard is very intuitive, similar to learning to ride a bike, water-ski, surfing, skating or any other activity that requires a little balance. 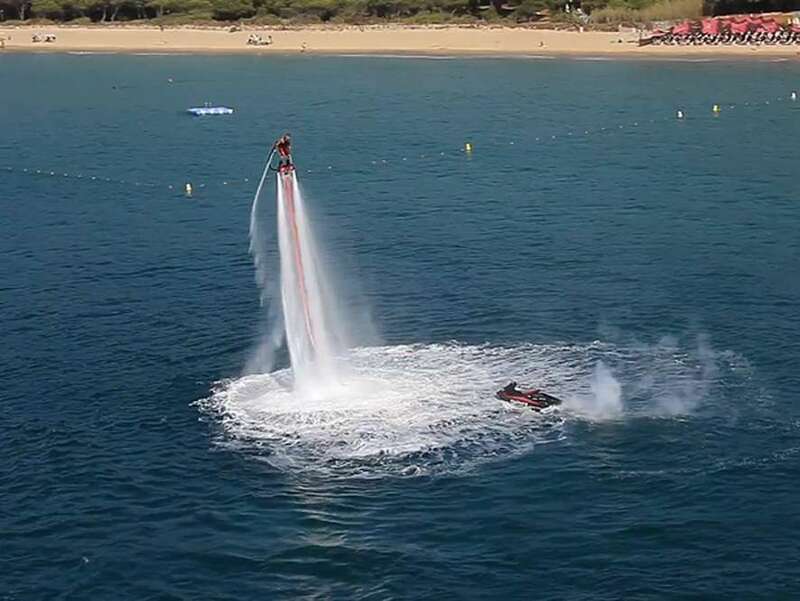 Usually after few minutes learning with the instructor you can already control the Flyboard very easily, move under the water and challenge the gravity flying in the air! 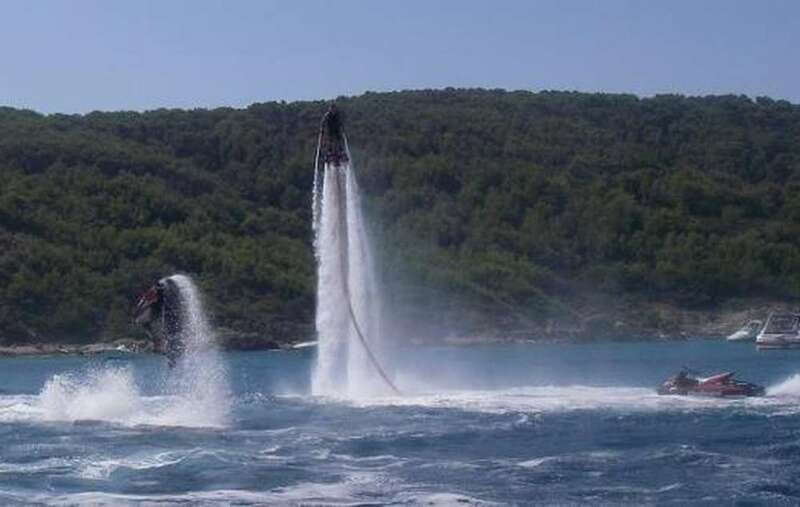 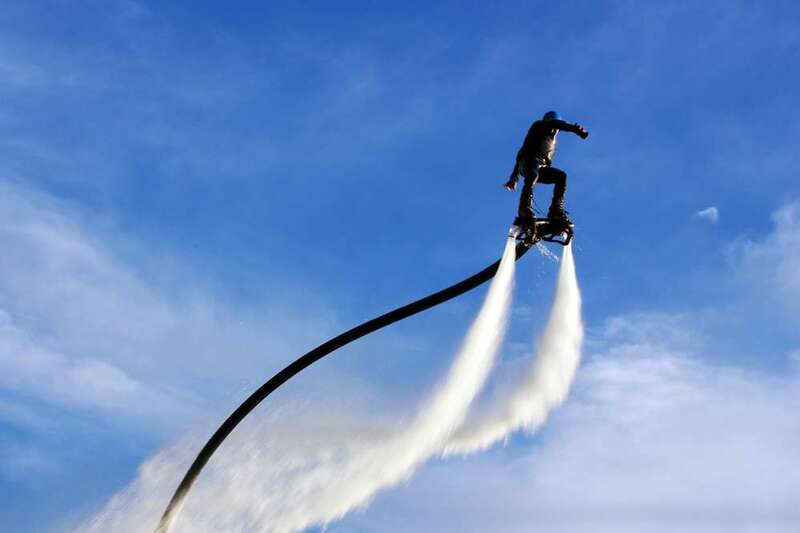 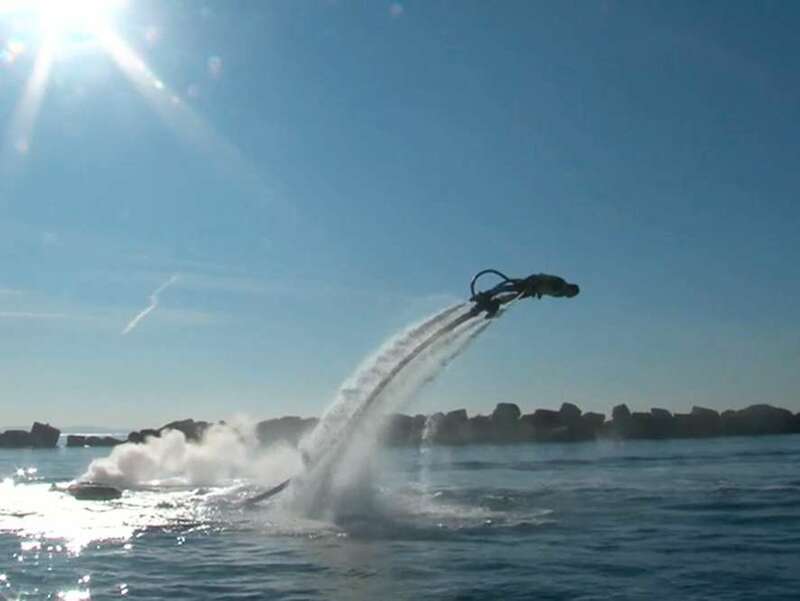 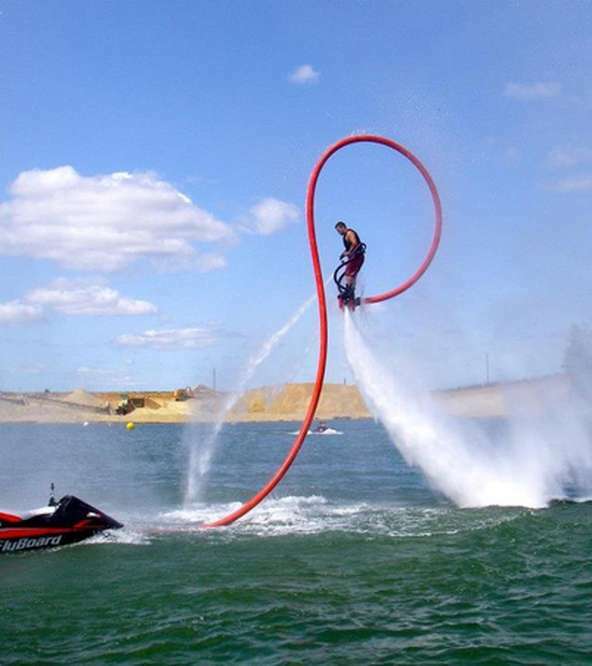 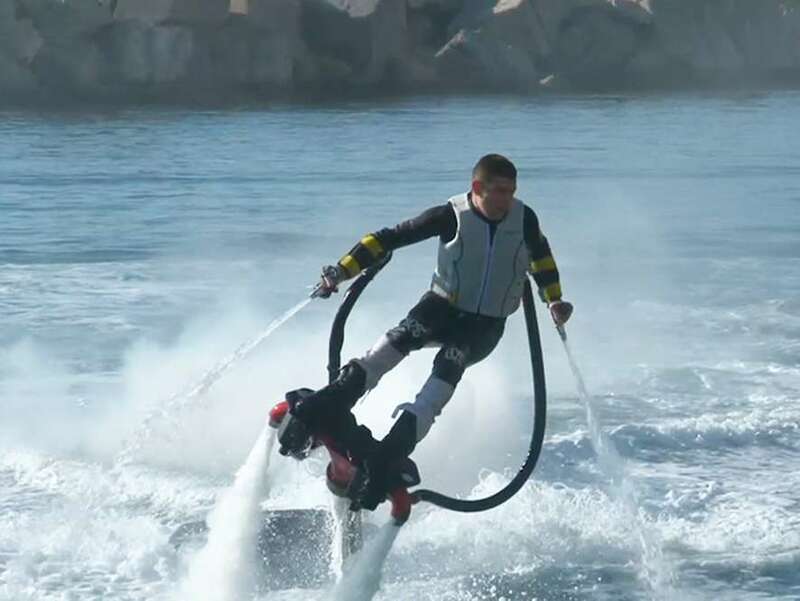 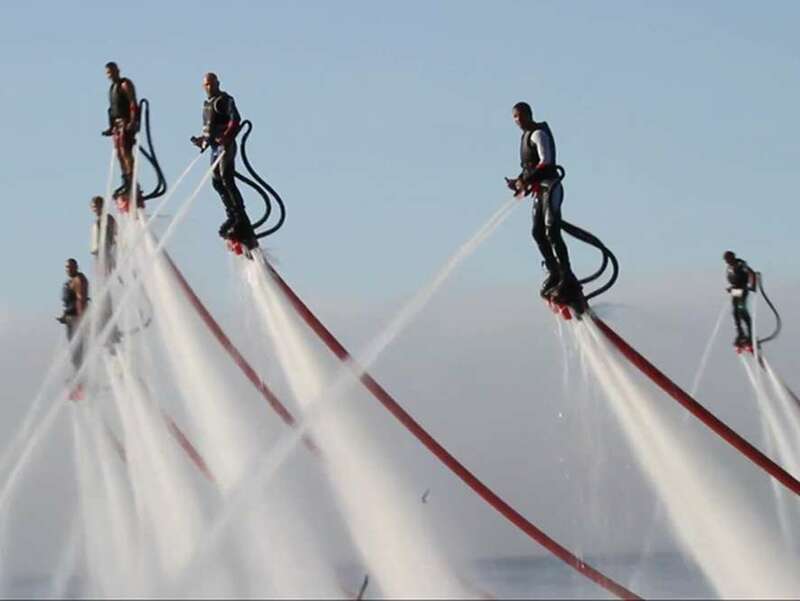 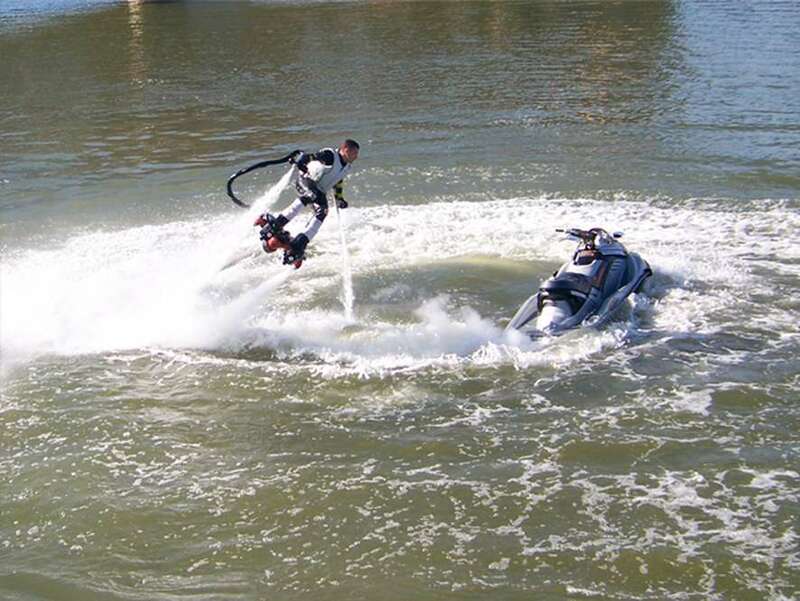 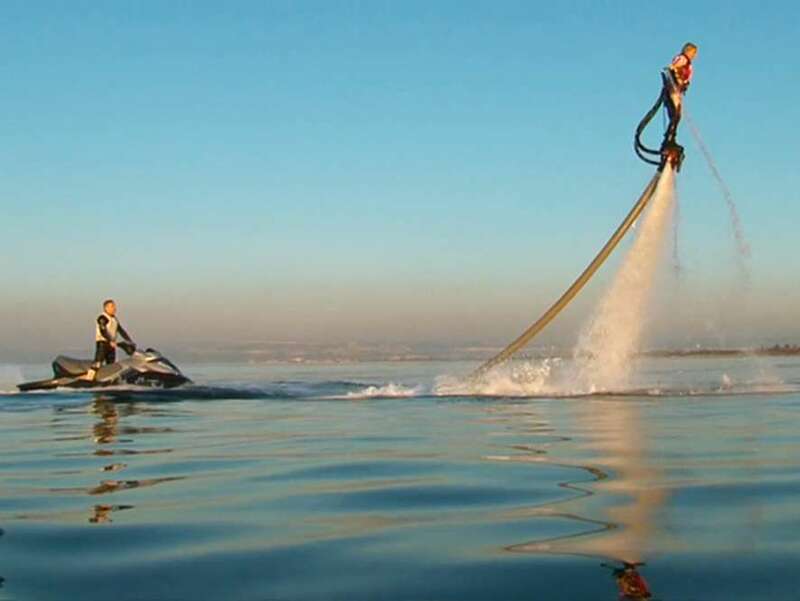 The Flyboard is connected to a jet ski, where sits an instructor and with the help of detracting and adding a gas, he is pushing the water into the nozzles of this apparatus and this way he can correct you, if it is necessary. 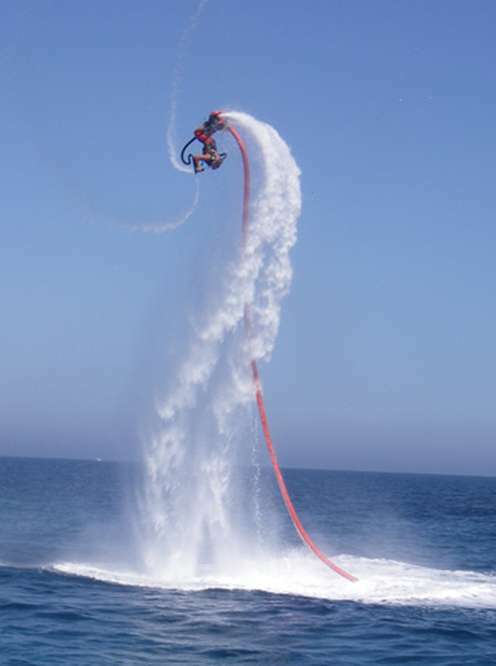 This method allows a better flight precision and its intuitive use provides you exceptional sensations with the Flyboard. 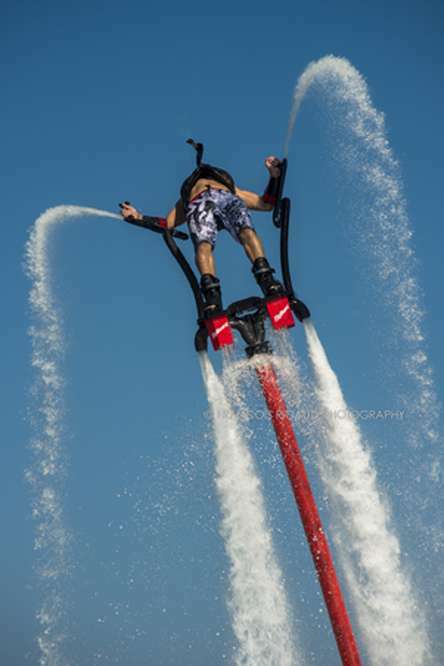 Sit back and relax in an air-conditioned minibus on the way to the event. 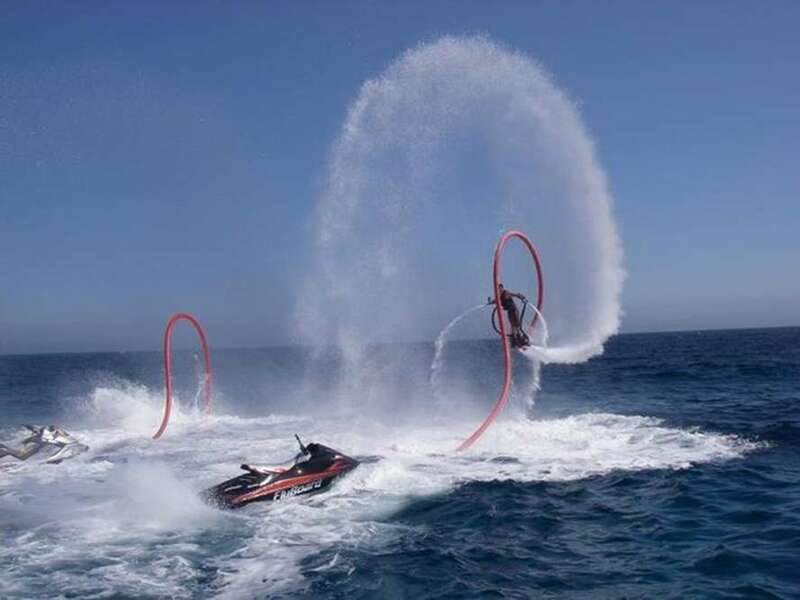 Get the needed equipment and learn how to use it. 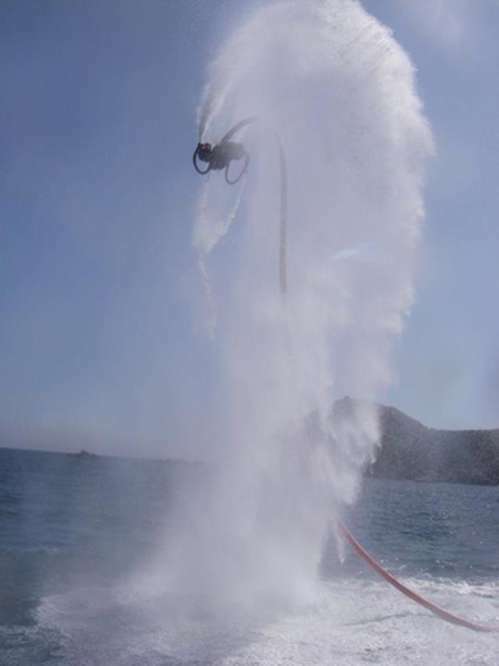 My brother and I had never been flyboarding before and the experience was awesome! 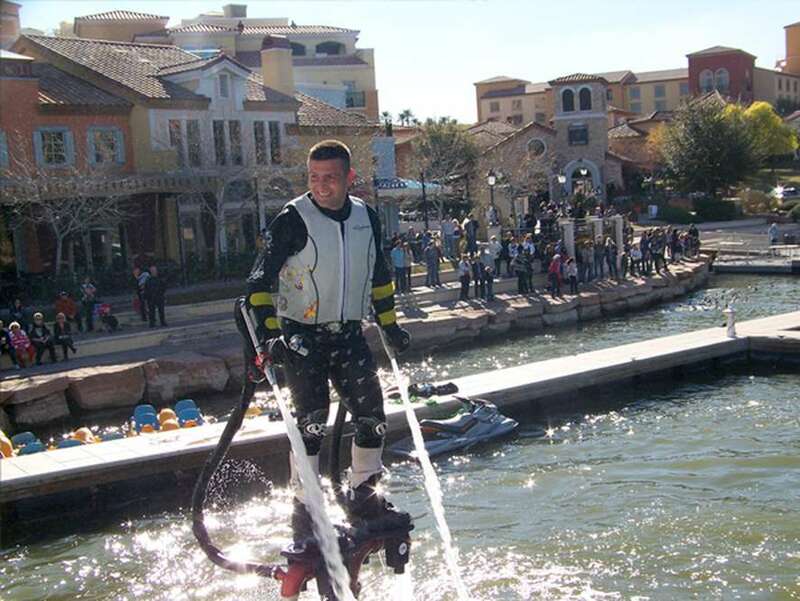 The staff was friendly and helpful, they provided everything we needed, and flyboarding itself is unreal. 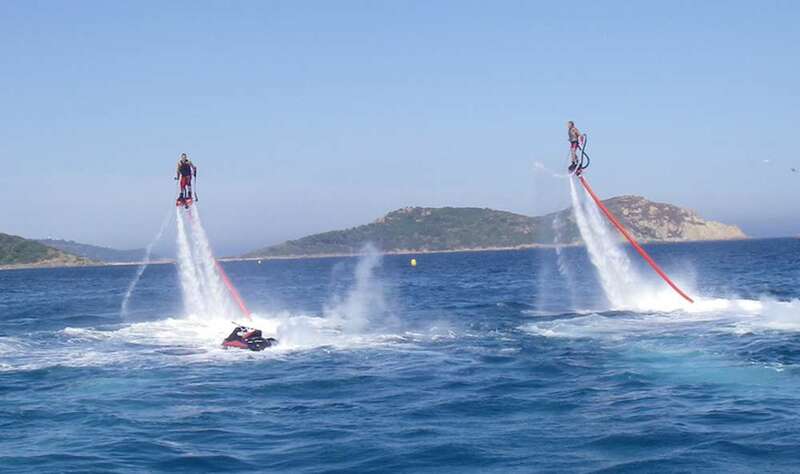 We were picked up a our AirBnB and brought to and from the location as part of the package too, so we didn't have to worry about getting around. 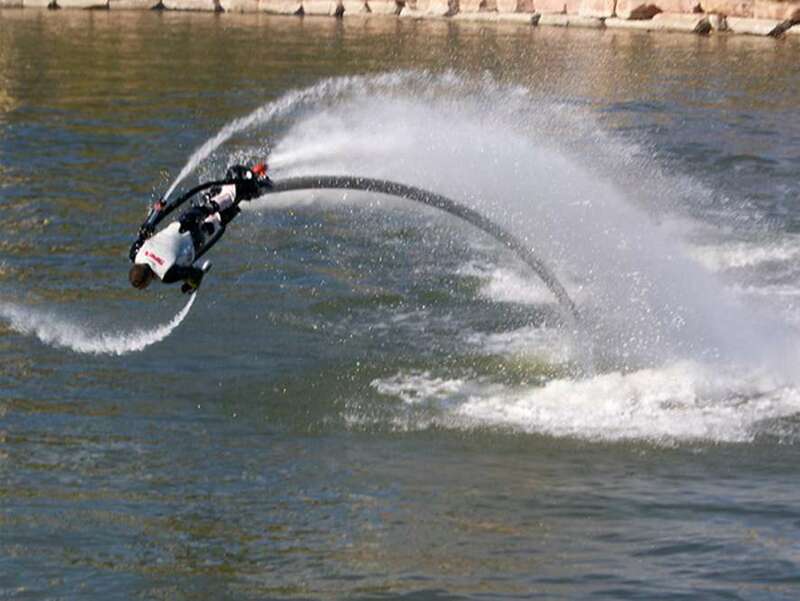 The Flyboard is a water sports apparatus which allows propulsion under the water and in the air; it could be compared to a powered wakeboard. 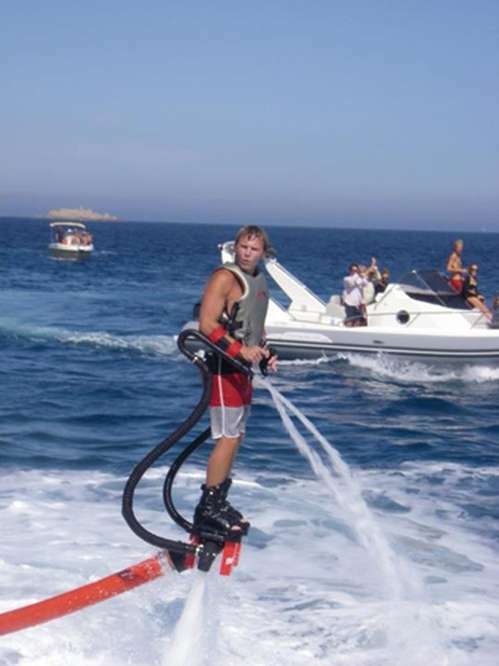 The nozzles under your feet put out 90% of the propulsion and allow movement by tilting your feet and tilting the Flyboard. 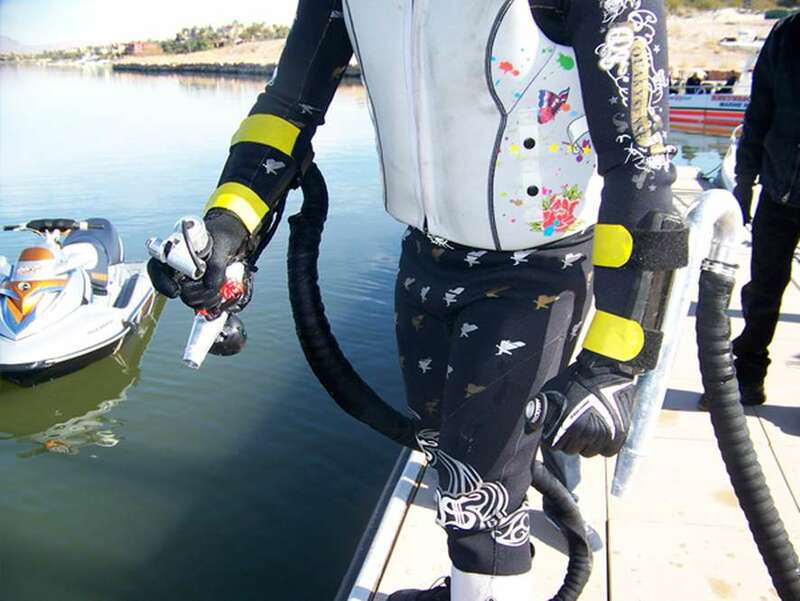 The nozzles on the hands put out 10% of the propulsion and are used to help stabilisation much the same way as ski poles.